Key West Cottage living is typically quiet and off the beaten path. Cottages range in size and amenities fluctuate depending on the size of your Key West cottage. The majority of these cute little cottages can be found in Old Town Key West which covers the historic district too. Old Town is one of the largest Historic Districts in the country. There are many quiet lanes where Key West cottages can be found with names like “Love Lane”, “Poorhouse Lane”, “Hibiscus Lane” and “Gecko Lane” just to name a few. See more information about the Key West Historic District here. A lot of these homes were constructed of Dade County pine and built by ship builders in the late 1800’s and early 1900’s. 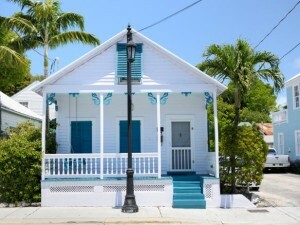 There are 2485 homes in Key West listed on the National Registry of Historic Places. When looking for Key West homes for sale in Old Town start or finish your search at https://homes.key-west-real-estate.net/i/Old_Town_Key_West. 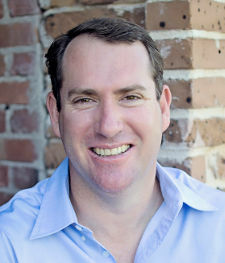 As a twenty year Key West resident I take pride in helping folks navigate through all the great properties Key West has to offer, whether you’re looking for that dream home, investment/rental income property or anything in between my team and I can help you. We help every step of the way so you know what to expect next. Key West Cottages can range in price anywhere from $400,000 right up into the luxury price points. Allow us to provide you with a search to take the leg work out of this process. Old Town only has a certain amount of Key West homes for sale at any one time so having inside information we often know of a few other listings that are not on the market yet or folks that maybe in the process of getting the home ready to go on the market, this way you have a few extra homes to look at. This shortage of homes is what also helps keep your investment safe as there is nowhere else left to build.